Kempinski is perhaps the most luxurious hotel in Accra. Its grand foyer has the scale of a museum, its rooftop pool glistens invitingly and its tree-lined courtyard provides the ideal hideaway for an evening drink. What really catches your eye though is the gloriously bold contemporary African artworks that you come across around every corner. This art collection, and the walls they hang on, is the handiwork of Marwan Zakhem, managing director of Zakhem, his family-owned group of construction companies with concerns across Africa, and more recently founder of Gallery 1957. “Maybe construction is the easier job!” Zakhem says, only half joking. We are in said secluded courtyard after a weekend of art encounters across the city with some of the impressive stable of artists he works with and the British Lebanese entrepreneur is in good spirits. “The gallery was born out of a passion, not because I want to make my living out of it, but at first what I thought I’d bring to the table was my commercial ability to help these artists,” he says. And in 2016, Gallery 1957 - named after the year of Ghana’s independence - opened, followed a year later by a second location across the road in the equally splendid Galeria Mall. In a short space of time, the gallery has made its mark at home with its proactive programming of exhibitions, talk, workshops and cultural activities, as well as abroad thanks to its participation in art fairs such as 1-54 London (where it shows Modupeola Fadugba, Godfried Donkor and Cameron Platter this week), ART X Lagos, Untitled Miami and Dubai Art Fair. 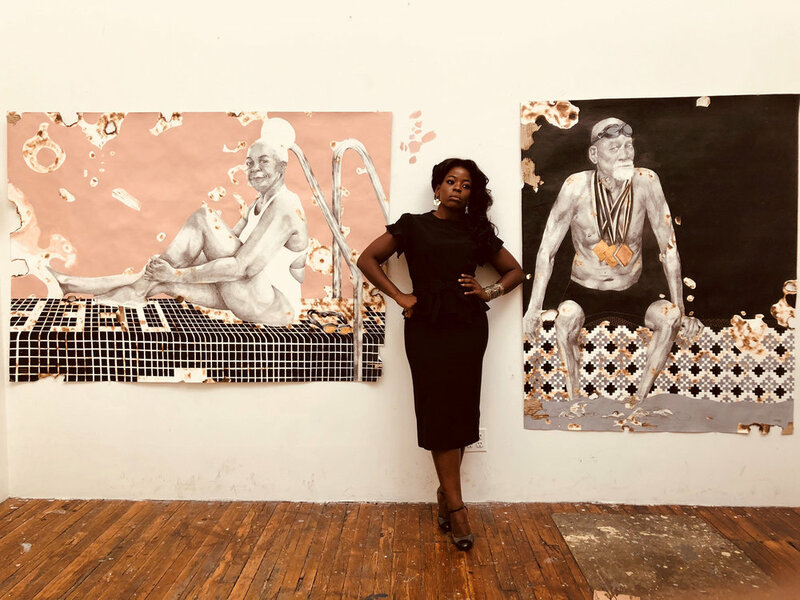 Its diverse roster now includes young performance artists crazinisT artist and Elizabeth Efua Sutherland, illustrator Bright Ackwerh, mixed media artist Gideon Appah and preeminent fantasy coffin maker Paa Joe as well as Nigeria’s Gerald Chukwuma. 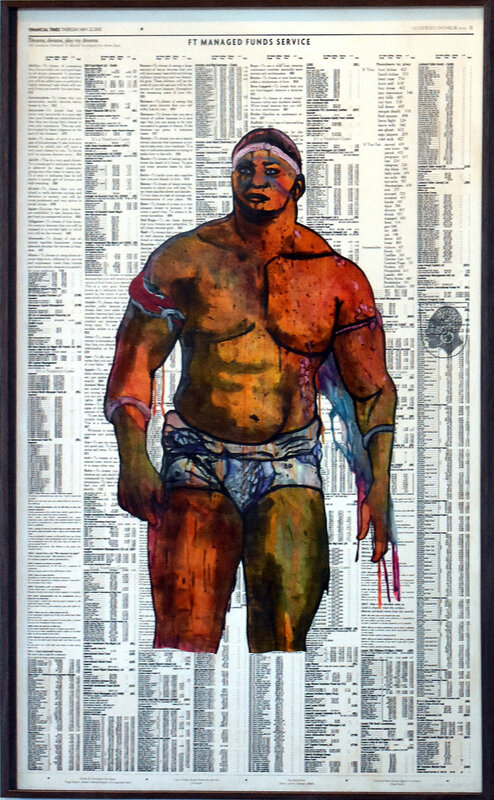 Gallery 1957 joins a thriving art scene in Ghana that has seen steady growth in recent years. 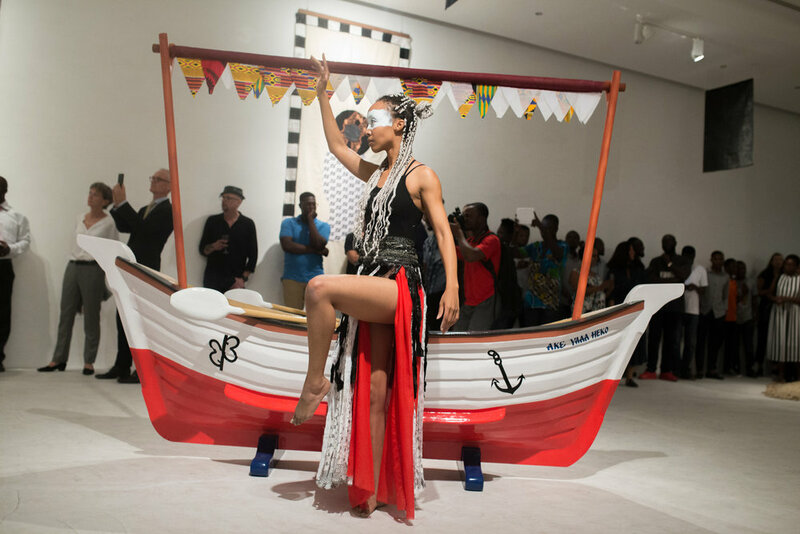 Thanks to the longstanding efforts of institutions such as Nubuke Foundation, Artist Alliance, Foundation for Contemporary Art, Goethe Institute and Alliance Francais, and other newer voices such as ANO, the country’s artists are now garnering increasing interest and influence in the African art market. 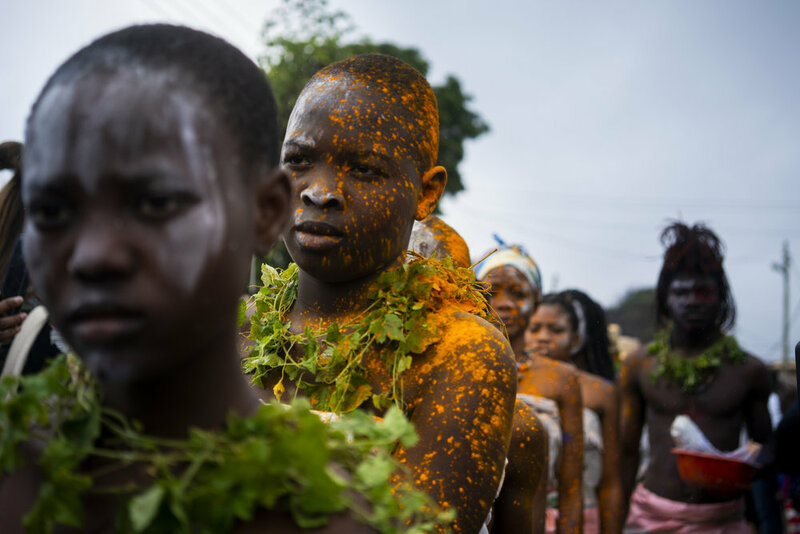 Likewise, festivals such as Accra.Dot.Alt’s Chale Wote street art festival, now in its fifth year, and the newly established Nuku Photo Festival, which Gallery 1957 participated in with a retrospective of legendary Ghanaian photographer James Barnor, plug into the city’s wider creative scene, too. Godfried Donkor agrees with these sentiments. Already firmly established globally, the London-based Ghanaian artist chose to realise a major project with Gallery 1957 on his home soil last year. The First Day Of The Yam Custom: 1817 reimagines a watercolour by the 19th century British explorer Thomas Edward Bowdich, thought to be the earliest visual record of Ghana’s Ashanti cultural customs in Kumasi. “I first came across Bowdich’s book while doing my MA at SOAS in 1995 and his illustrations captured my imagination. I wanted to reimagine them here in Ghana. He did his work in London and never brought it back so let me return this information to here,” Donkor says. After a six-month residency at the gallery, this accomplished body of work became a prime example of how contemporary art can help to recontextualise and deliver cultural heritage to its people. Serge Attukwei Clottey invited all comers to his studio in the Labadi neighbourhood of Accra for the one-day spectacle, 360 La, during Chale Wote. Bringing his entire community together to take part in his practice, he covered every possible surface in his signature sculptures, made from deconstructed plastic gallons and tin cans, and then headed up a forceful procession of women, men and children wearing upcycled costumes and spraying rainbows of powder paint into the air. Community leaders blessed the ceremony and everyone from local aunties to visiting curators became immersed in the installation. The acclaimed multi disciplinary artist’s choice of Kufour gallons - a ubiquitous sight in Ghana having originally been imported from Europe containing oil, and then reused to carry water by those struggling with the country’s water shortages - has developed into a concept he calls Afrogallonism. The vivid results range from masks to large-scale moments such as this, which create alternative dialogues around social injustice, trade, migration and post colonialism. While he has exhibited extensively abroad, his performance work finds its potency at home. Read Nataal’s recent interview with Modupeola Fadugba here. Read Nataal’s 2017 interview with Godfried Donkor here. Read Nataal’s 2016 interview with Serge Attukwei Clottey here.